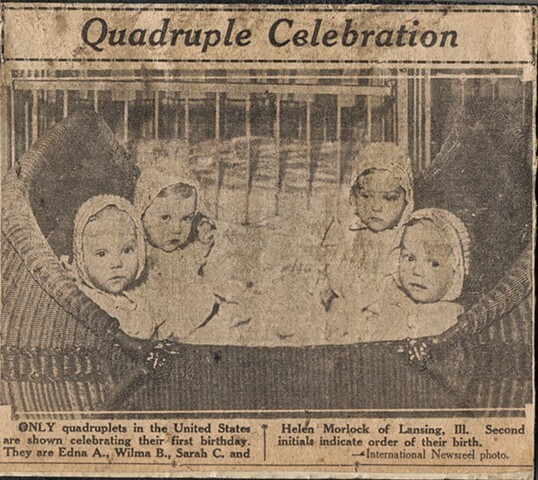 Only quadruplets in the United States are shown celebrating their first birthday. They are Edna A., Wilma B., Sarah C. and Helen Morlok of Lansing, Ill. The initials indicate order of their birth.